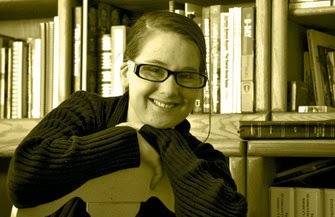 Amber, welcome to Homeschool Authors! Tell us a little bit about yourself. I am a twenty-two year old homeschool graduate who spends my time reading, writing, working in our family businesses, volunteering and serving my family of twelve siblings. I loved the fact that the curriculum was so flexible. In fact, I pretty much made up a lot of my own curriculum. I loved to study history, and tailored the rest of my subjects to fit around that. Being homeschooled allowed me a lot more time and imagination. I could go outside and slip into an imaginative world of my own, hundreds of years ago. I started writing when I was about 13, and I don't think I ever would have done that if I hadn't been homeschooled. My mom knew I loved history and writing, so she gave me assignments that were tailored to that. I was the editor of our school/family newsletter, organizing article competitions etc. My active imagination was constantly coming up with stories.I originally started writing them down as journal style stories. I imagined that I lived during the time of the Revolution and wrote letters to my friends and entries in my journal. What inspired The Swaddling Clothes? Haha, that's kind of a funny story. I had been asked to write a Christmas story, and I was praying about what to write as I was making dinner. My siblings were watching a Veggie Tales movie about the Toy that Saved Christmas. I overheard Pa quote the scripture "and she brought forth her first born son and wrapped him in baby clothes and laid him in a manger." Whoa, hold on a second, I thought. The KJV doesn't say "baby clothes" it says "swaddling clothes." I wonder why...And so it began. Who will enjoy The Swaddling Clothes? Anyone who enjoys Historical Fiction or Biblical Fiction. Yes! I'm working on a Biblical series called The Days of Messiah as well as a series on the signers of the Declaration of Independence. Thanks so much for having me today! I am so excited to meet other homeschoolers and other authors. If you don't already know me, please introduce yourself! I'd love to meet you. Enter to win a digital copy of this wonderful story! Thanks so much for hosting me on this wonderful blog today, Sarah! I'm so looking forward to getting to know everyone here! The Swaddling Clothes is one of my new favorites Stories about Jesus! I recommend this story! Great interview! I have 12 siblings too! :) Do your siblings ever have any input into what you write? Sometimes they do. My mom helps me out a lot when I'm hashing out plots. They all really help me with editing, because they'll sit down and listen to me read my story out loud to them. This helps me catch a lot of things I wouldn't otherwise. They also help me to gauge if the book is engaging, or boring at some parts etc. Are you self published? A lot of people seem to be doing that more often now. Thanks for stopping by! Self publishing is on the rise. I have a lot of friends that self publish. I am currently with a small publisher out of PA and they have been great in helping me get started. In the future, I may become a hybrid author (self and traditional publishing) but for now, I'm sticking with them. Yes, it's centered around the Nativity Story, but really it follows Jewish history from King David down to Christ's time. Hi Amber! This story sounds very interesting! Where did you do most of your research? Nice to meet you!! Thanks for saying hello. I research all over the place. I have reference books, the Bible, the internet, even searchable databases of sermons. It also really helps that I've had the pleasure of visiting the Holy Land myself. Hey Amber! Are you part of any writing group?